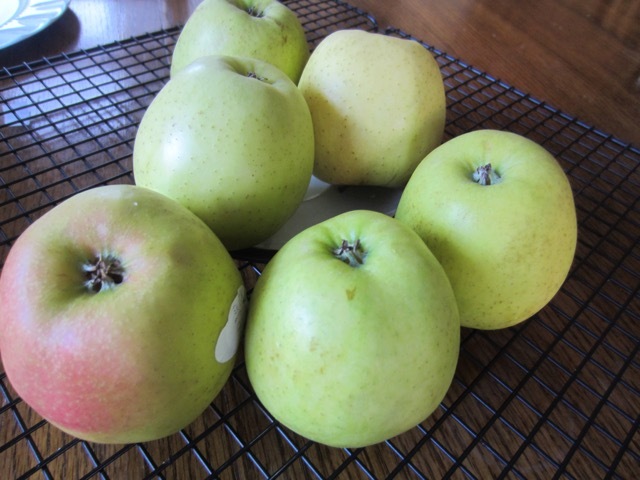 The ‘Golden Delicious’ originated in the Mullins’ Family Farm in Clay County, West Virginia as a chance seedling. It was Introduced in 1916. The skin is freckled golden yellow, sometimes with a bright pink blush. The flesh is firm and juicy, white to creamy pale yellow. The flavour is very sweet. 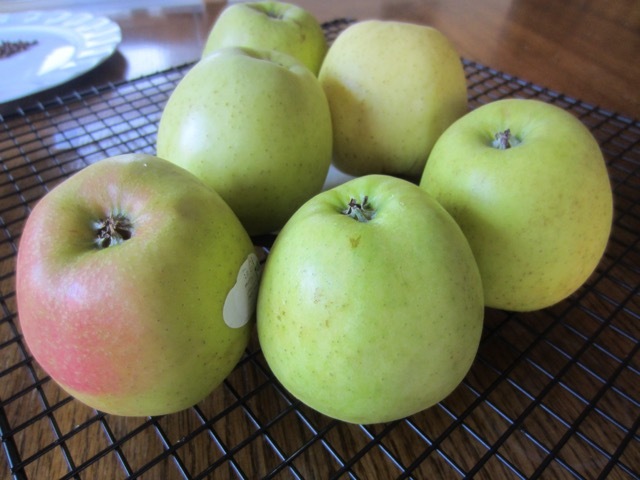 Golden delicious is an all purpose apple suitable for eating raw, baking and slow cooking. It’s a favourite for pies and tarts because the slices hold their shape when baked. The flesh doesn’t turn brown when sliced and so it’s excellent for salads. It’s also a favourite choice for lunch boxes. 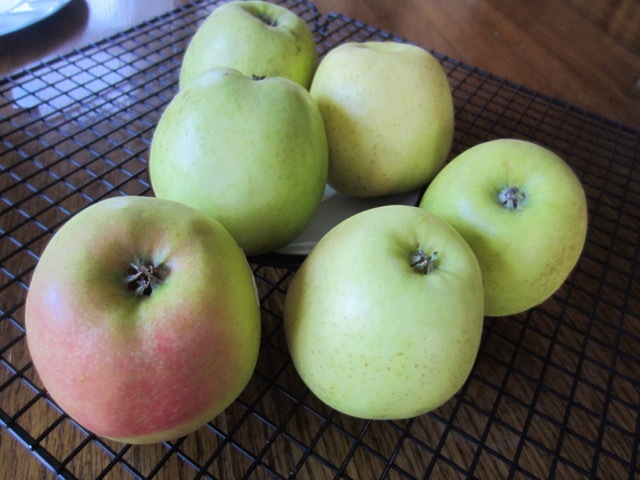 Golden delicious is also a favourite for apple sauce and apple butter. Harvested autumn to winter and available all year round.